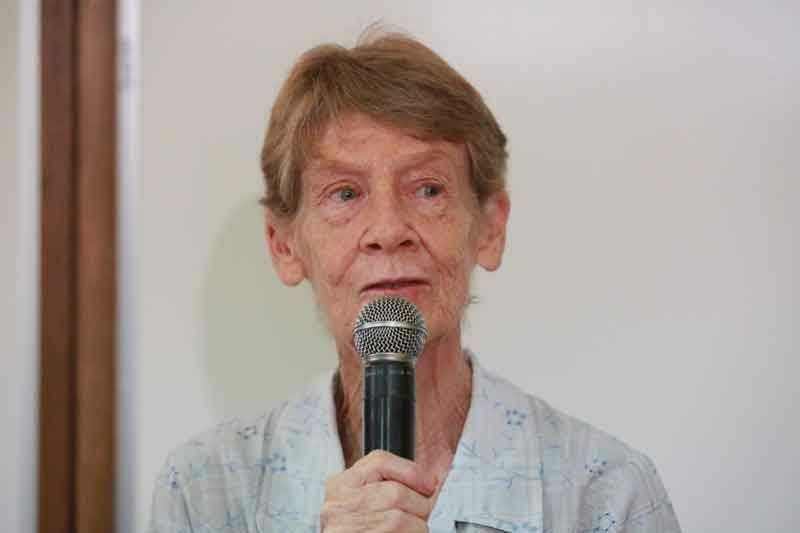 MANILA, Philippines — The Bureau of Immigration (BI) has affirmed its deportation order against Australian nun Patricia Fox, Justice Secretary Menardo Guevarra said yesterday. Guevarra confirmed that the BI-Board of Commissioners dismissed the motion for reconsideration (MR) filed by Fox and stood firm on its deportation order issued last month. Guevarra said the issue could also reach the courts should Fox opt to file a petition after all administrative remedies before the executive branch are exhausted. “Any adverse ruling of the DOJ or OP may further be reviewed by the courts,” he explained. Last week, the BI-BOC ordered the deportation of the missionary nun and also her inclusion in the bureau’s blacklist to prevent her from returning to the country. The bureau cited as basis for its order several photographs showing that she engaged in various partisan political activities in 2013, 2016, 2017 and 2018 – including those where she reportedly demanded for the release of political prisoners, joined rallies for land distribution in Hacienda Luisita and a labor rally in Davao City. The BI also considered President Duterte’s earlier statements that branded Fox as an undesirable alien by joining political rallies. “In fact, the President even publicly admitted that it was upon his instructions to investigate Fox for disorderly conduct for participating in rallies,” the BI said. “The power to deport aliens is lodged in the President of the Republic of the Philippines. The Commissioner of Immigration exercises this power, however, as the qualified political agent of the President. As the administrative alter-ego of the President in deportation cases, the actions of the Commissioner of Immigration relative to the arrest and detention of undesirable aliens are, unless reprobated or disapproved by the President, presumptively the acts of the President,” the 10-page ruling stated. Last April 16, on the strength of a mission order issued by BI Commissioner Jaime Morente, Fox was invited to the BI main office in Intramuros after the bureau’s Intelligence Division received information that the Australian nun has allegedly been attending protest rallies, fact-finding missions, jail visits and supporting and involving herself in assemblies against the government.